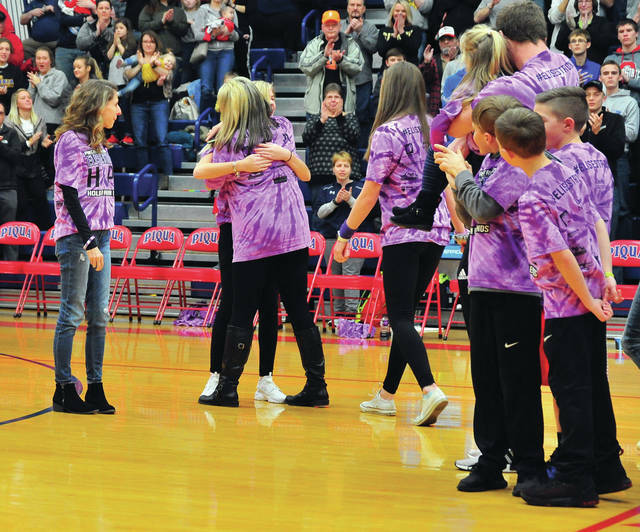 Family members gather at center court at Garbry Gym on Friday night as Piqua City Schools prsents a check to Cincinnati Children’s Hospital in the amount of $7,000 in the name of Piqua High School student and athlete Elise Cox who recently underwent surgery at the hospital. 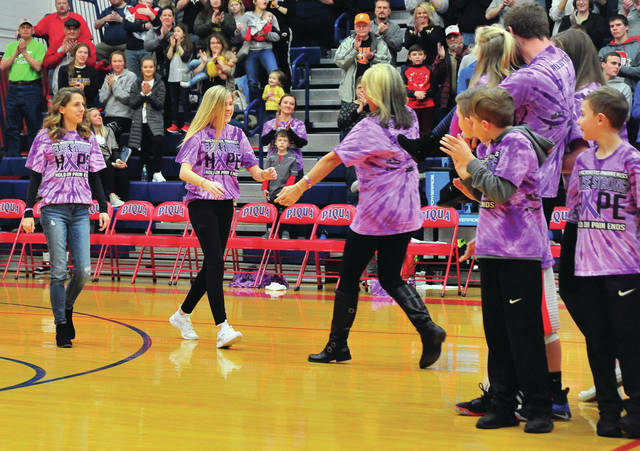 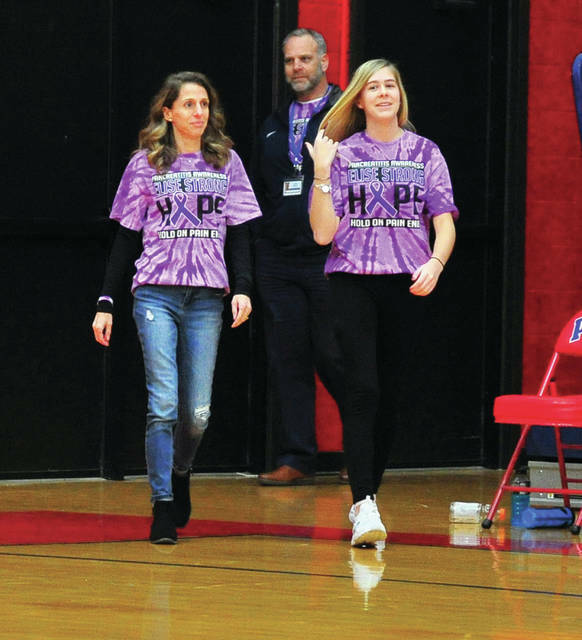 PIQUA — There was a packed house at Garbry Gym on Friday night as the Piqua Indians hosted the Sidney Yellow Jackets and supporters from Piqua City Schools and the Piqua community donned purple t-shirts to support Piqua High School student and athlete Elise Cox as she recovers from recent surgery. 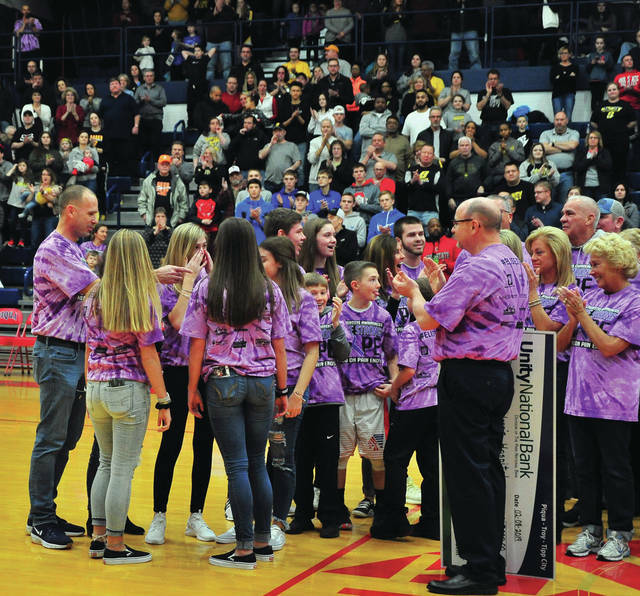 School officials presented a check to the Cox family in the amount of $7,000. 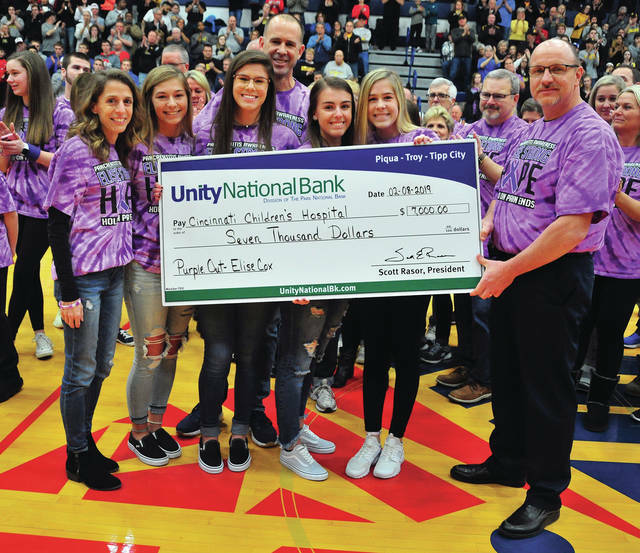 The check, made out to Cincinnati Children’s Medical Center, will be handed over in Elise’s name.